You guys. These cookies are outta this world amazing. Last week I found something else that is outta this world amazing: pumpkin spice cream cheese. Say what? Yeah. I did not hesitate to put a container of it into my shopping cart. I ate that delicious pumpkin spice cream cheese on a bagel. I used it as dip for graham cracker sticks. 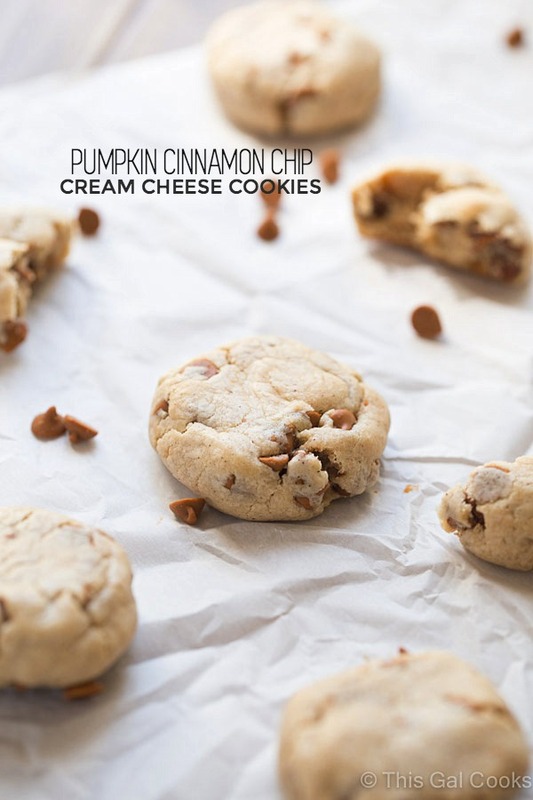 Then I made these Pumpkin Cinnamon Chip Cream Cheese Cookies with it. These cookies are soft, puffy and full of the flavors of fall. They were an instant hit at home, with the neighbors and the co-workers. And with me, of course. 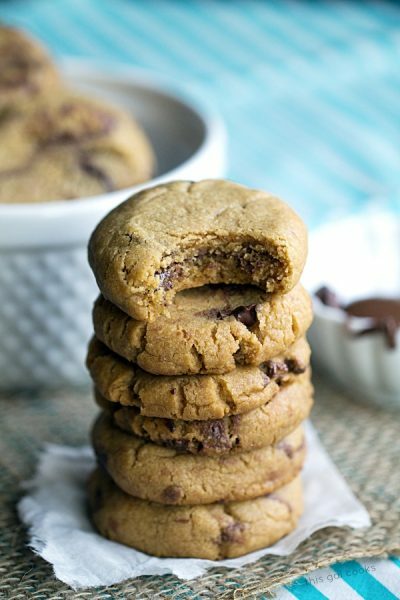 If there’s any type of cookie that can totally win me over, it’s the soft, melt in your mouth type cookie. Have you ever tried cinnamon chips? They seem to be all the rage right now so I decided to give them a try. I was pleasantly surprised at how darn good they are! That’s a good thing, considering two bags somehow made it into my shopping cart. I’m already thinking of all of the recipes to make with what I have left! So I got a new camera. I got the Canon 6D. I used it to take pics of these cookies. In fact, these cookies are the first food shoot I did with the new camera. There’s definitely a learning curve, coming from using a Rebel T3. BUT, I like learning new things and I like this camera. So it’s a win-win situation. One more thing before we get to the best cookie recipe ever. I spent a few hours updating my email subscription options for my readers. I’ve made it super convenient and easy for you to sign up for daily or weekly emails. If you haven’t already subscribed, you can subscribe and choose your option here. If you area already a subscriber, you can easily update your subscription preferences by visiting your Mailchimp profile (accessible through one of my campaign emails). Ok, now let’s make some cookies! In the bowl of a stand mixer with the flat attachment, beat together the butter, sugars, egg, vanilla extract and cream cheese on medium high speed for about 5 minutes or until fluffy. Whisk together the flour, baking soda, cornstarch, salt and pumpkin pie spice. Add to the wet ingredients and mix on low until combined. Mix in the cinnamon chips with a spoon. Cover and refrigerate for 30 minutes to one hour. Do not skip this part or your cookies will flatten while baking. While the cookie dough is chilling, preheat your oven to 350. Line a baking sheet with parchment paper. When the cookie dough is chilled, roll the dough into 1½ tbsp balls. I used a cookie scoop to measure out the dough. Cookie scoops make life easier. Place the dough balls onto the baking sheet, about 2 inches apart. Bake for 8 - 10 minutes. If your cookies are a little too puffy after baking, gently press down a little with the back of a wooden spoon. I did this and you can see that my cookies are still nice and thick. Allow the cookies to cool for 5 minutes and then transfer to a wire rack to cool. Try these recipes from other great bloggeres. Salted Dark Chocolate Chunk Oatmeal Cookies from Spoonful of Flavor. Carrot Cake Cookies from Inside BruCrew Life. Graham Cracker Cookies from Buns In My Oven. More cookies recipes from This Gal Cooks. What?! Pumpkin Spice Cream Cheese?! How have I not seen that? Going to the store now! Gorgeous photos! I’ve been using the same stinkin’ camera since 2008 – I’m in desperate need of an upgrade. It’s just SO hard to spend all that money. Ugh. The only store I’ve ever seen it in is Walmart, which is not my favorite place but its gotten better since I began utilizing self check-out! I’m already planning a trip for this weekend so I can stock up on more! Thank so much for stopping by and for the compliments, Amanda! And I agree, so hard to spend the money. I’ve been having a debate with my self for MONTHS over upgrading. But I decided to do it because I knew I would continue to have that debate with myself until I did! The pictures came out beautifully! Super jealous of your new camera. I just got a new camera, but it’s your OLD camera! Hahaha! :) Someday I’ll upgrade again! After I saw your IG pic with the pumpkin spice cream cheese, I was dying to see what you’d make with it. These look spectacular!!! They do have that ‘melt-in-your-mouth’ look about them! Yum. Thank you, Sarah! Oh I have been contemplating that camera for ages! I went back and forth with keeping the T3 but in the end, the 6D won. A sweet $200 rebate had a hand in pushing me to get it. Glad you like these cookies. I am still thinking of other things to make with that cream cheese. I have a couple of ideas so I am going to go back to the store and stock up on this cream cheese! I saw that cream cheese in the grocery, but didn’t even think twice. Now you’ve got me dreaming up all of the combinations ever!!! These cookies look so delicious. 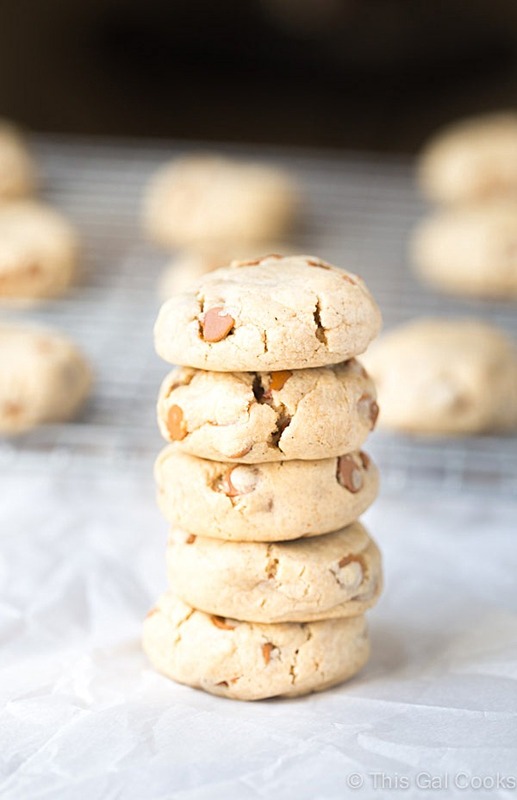 Love cream cheese cookies, so that base + cinnamon chips has got to be delicious! You HAVE to go back and get it, Graham! It’s one of the best things ever created. Gorgeous pics!! Congrats on the new camera. And I love these cookies so much! Oh my gosh, I had no idea that pumpkin spice cream cheese existed, but I guess I’m not surprised! I’m the kind of person that can eat the flavored cream cheese right out of the tub with a spoon and pretend that it is cheesecake! These cookies look and sound amazing and I need to find the cream cheese asap! I have a Rebel T3i and I have been completely coveting the 3D. That is so exciting that you upgraded! The pictures are fabulous and these cookies look phenomenal! Pinned! I have yet to make cookies using cream cheese and don’t even get me started on pumpkin spice cream cheese. I bet it tastes amazing and I can only imagine what it does to these cookies. They look amazing!! Congrats on the new camera Julie! I have a T3 so if I ever decide to upgrade I’ll know who to ask for pointers ;) PS the cookies look amazing; cream cheese & cinnamon is one of my favoritest things ever! Hi Julie – These cooks look so soft and delicious! I don’t usually shop at Walmart, but will go and look for the pumpkin spice cream cheese. Thanks for another yummy recipe! I don’t usually shop there either, Joanne! But I went because they do have some things that I cannot find at my regular grocery store. Glad I did because this cream cheese is so good! Thanks for stopping by. Hope you have a wonderful weekend! Pumpkin spice cream cheese sounds incredible. I don’t know if it would’ve made it to the cookies with me around ;) I love the texture cream cheese gives to cookies, especially how soft and thick they bake up. Mmm I’m all over the double cinnamon punch with the cinnamon chips and pumpkin pie spice! This is fall in a cookie right here. Pinning! See, you would just have to buy multiple packs so in case you devoured one pack, you would have another to make these cookies! Thanks for stopping by and for the pin, too, Mary Frances! Have a great weekend! Pumpkin spice cream cheese? That sounds so good! Yay for getting a new camera Julie! 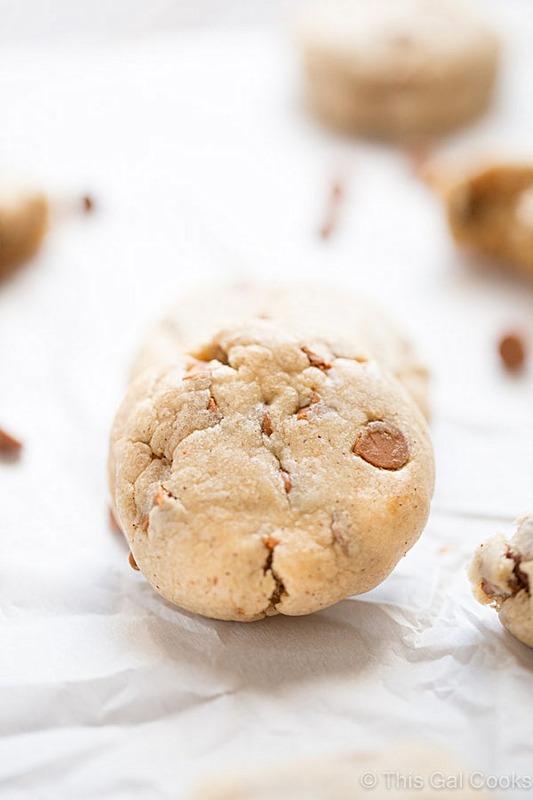 The pictures look amazing and so do these cookies! Love the cinnamon chips in here! What a great idea. I’ve never seen that cream cheese before, but I’ll have to start looking. This cookie looks scrumptious. I’ve only been able to find it at Wal-mart, which isn’t my favorite place to shop. But I will be going there again soon so I can pick up some more. Thanks for stopping by, Teresa! Have a good weekend. Oh wow, these cookies look and sound amazing! I discovered cinnamon chips a few years ago and love them. I like to just pop them in my mouth for a treat, but I love the idea of enjoying them in a cookie like this one! YUM! Hi Suzanne! You’re welcome. Glad you enjoyed this recipe and I hope you like the cookies, if you give them a try! Thanks for stopping by! Looks to me like you are getting the hang of your new camera pretty dang quick. Lots of great ingredients in these cookies, but what I really like about them is their chubby little shapes. Well done. Where did you get cinnamon chips? I haven’t be enable to find them. I have seen them at Target before but couldn’t find them there recently. I found these at Wal-mart. That cream cheese is SO good! Very addictive indeed…as are these cookies! Thanks for stopping by, Heather! Does the egg go in after the cream the butter and sugar? It goes in with the cream cheese, butter and sugars. I made a double batch of these scrumptious morsels yesterday so I could share with friends. Thank you for so many delicious recipes Julie. I will definitely be putting this in my repertoire to deliver to my family, friends, clients and prospects – something I enjoy doing to show folks how much they mean to me. I’m so happy that you and your friends enjoyed these cookies. We really loved them at my house, too! Definitely a cookie that I will make again soon. And perfect for sending to friends and family because they don’t get hard! Have a wonderful week, Chris. And thanks again for stopping by! I’ve never had cinnamon chips! 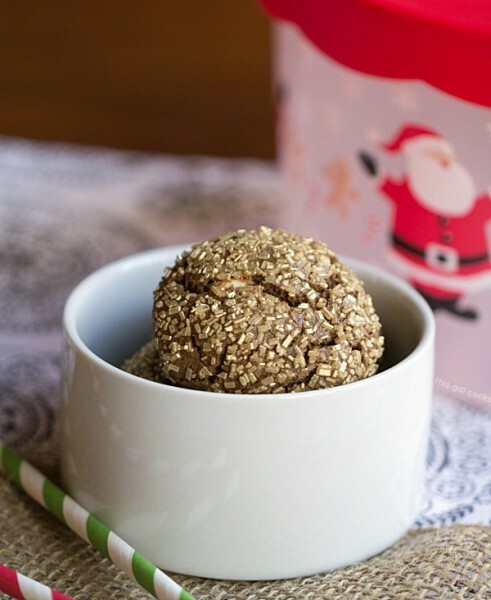 These sound delightful – it would be great if you shared them at the Great cookie exchange too! Cinnamon chips are INCREDIBLE! You’ve gotta try them, Helen! Wow, what’s not to love about these cookies?!?! Thanks for sharing with us at Pretty Pintastic Party and I hope you’ll join us at my Small Victories Sunday Linkup that just started for this week too! There isn’t anything not to love! Thank you for stopping by, Tanya! These cookies will be a great treat! Hope you have a great weekend and thanks so much for sharing your post with us at Full Plate Thursday!